Like to buy locally made Tasmanian products? Or perhaps need to stock up on some RM Williams boots? Turn left when you leave Launceston Airport, take a stroll around Evandale's historic streets, and browse to your heart's content! 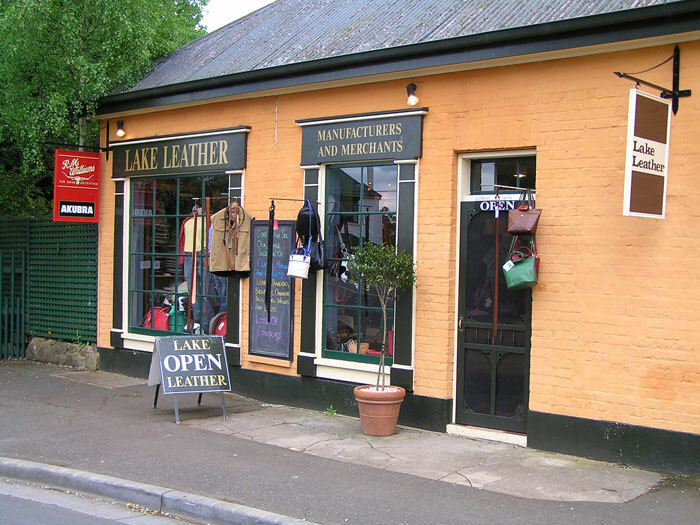 Tasmania's first specialist leather goods shop where you can watch as bags, luggage, belts and numerous other items are manufactured on site. Also the biggest seller of R.M.Williams boots in Tasmania.